I have always felt that the famous Cash-Landrum case of December 29, 1980 was perhaps the most puzzling and vexing UFO case on record. If the events actually occurred as reported, then no prosaic explanation was possible. On the other hand, there was no solid independent evidence to substantiate the witnesses' claims, despite years of searching. As the skeptical Fortean Peter Brookesmith said, "To ufologists, the case is perhaps the most baffling and frustrating of modern times, for what started with solid evidence for a notoriously elusive phenomenon petered out in a maze of dead ends, denials, and perhaps even official deviousness." They soon encountered a diamond-shaped UFO hanging over the road ahead. The two adults, Betty and Vickie, first thought that they were seeing a helicopter or airplane. [Colby, Vicki's seven year old grandson, was also in the car.] There were several airfields not too far from them. But this object was not like a helicopter, plane, or anything else they had seen before. The large, menacing UFO would from time to time shoot reddish-orange flames toward the asphalt road below. Betty, though frightened, was somewhat fascinated by the other-worldly looking object. She was now out of her car, and watching the UFO as it hovered above and ahead of them. Suddenly, the skies were full of helicopters. Betty remarked: "They seemed to rush in from all directions... it seemed like they were trying to encircle the thing." That night, they all experienced similar symptoms, though Cash to a greater degree. All suffered from nausea, vomiting, diarrhea, generalized weakness, a burning sensation in their eyes, and feeling as though they'd suffered sunburns. Over the next few days, Cash's symptoms worsened, with many large, painful blisters forming on her skin. When taken to a hospital emergency room on January 3, 1981, [Jerome] Clark writes, Cash "could not walk, and had lost large patches of skin and clumps of hair. She was released after 12 days, though her condition was not much better, and she later returned to the hospital for another 15 days." This has given rise to the common belief that the witnesses were exposed to some sort of "radiation," and suffered its ill effects. However, on closer examination this does not hold up. Brad Sparks, certainly no UFO debunker, wrote in 1999 that "it does NOT appear that the Cash-Landrum symptoms were due to ionizing radiation or "radiation sickness" for the reasons listed below. I reviewed this case for APRO in the early 80's but was not able to publish the results of my analysis for various reasons. Radiation oncologist and APRO consultant Dr. Richard Niemtzow reviewed my findings and agreed that the symptoms did not match those expected for ionizing radiation syndrome." Skeptic Gary Posner, M.D., looked at the reported symptoms, and came to the same conclusion. If radiation were involved, according to Posner, the reported symptoms would have indicated a fatal dose. Since both women lived many years after the incident, and Colby is still living, nobody received a fatal dose of radiation, and the reported symptoms, if correct, must be caused by something other than radiation (see his letter on page 16 of the April, 1983 MUFON Journal). However, Betty Cash's medical records have never been released, on grounds of "privacy." Fair enough, but you cannot simultaneously cite alleged medical symptoms as proof of a UFO encounter while refusing to release the medical records that might confirm or refute the claim. So long as the medical records remain "private," anecdotal accounts of what they contain are worthless. These claims of harmful effects led Cash and Landrum to file a $20 million in damages against the U.S. government in 1981. They were represented pro bono by UFO lawyer Peter Gersten, who attracted much attention in 2012 by his announced plan to leap from Bell Rock in Sedona at the moment of the winter solstice Mayan apocalypse (but fortunately he had second thoughts, and is still alive). The suit was dismissed by a U.S. District Court judge in 1986 on the grounds that U.S. government involvement had not been demonstrated. It ought to be quite straightforward to trace a fleet of 23 Chinook helicopters flying over the United States. Much effort has been expended to trace such helicopters, to no avail. The U.S. military simply didn't have a fleet of that many Chinook helicopters in one place, nor did any private firm. 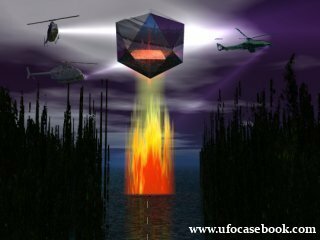 This case has received extensive media attention, on That's Incredible (ABC-TV), UFO Coverup Live, Unsolved Mysteries, Sightings, and UFO Hunters, to name just a few. The principal investigator of the case has always been John F. Schuessler, a well-known MUFON Director, also affiliated with several other UFO organizations. He wrote a book The Cash-Landrum UFO Incident. Curt Collins is a UFO researcher who, for the past year or two, has been gathering as much information as possible on the Cash-Landrum case. He has shared this information on his Blog, Blue Blurry Lines. Collins was a "contributing editor" helping the late, great James Moseley put out his semi-legendary newsletter Saucer Smear. The physical evidence in the Cash-Landrum UFO incident is much of what makes it such a compelling and enduring case. Another key factor is the reputation and expertise of the case’s chief investigator John F. Schuessler who had the difficult jobs of seeking evidence, promoting the case and protecting the witnesses. The medical records have been long protected by Schuessler, citing the privacy of the witnesses as reason for withholding them. What is less widely known, is that there was other case evidence that Schuessler chose not to share. The TDH report revealed that there was no residual radiation found along the road, but they were not dismissing the case. They made an important offer: they were interested in continuing the investigation, starting with their doctors examining the medical records. There is no documentation of it in the TDH files, but Schuessler refused or ignored the State’s offer to help the witnesses. Claimed physical traces from the incident seem to be among the strongest pieces of evidence supporting the case. Collins writes, "When discussing the case, Schuessler told how the witnesses were able to return to the precise location, and that the scene contained some identifiable, distinct features:"
There are, alas, no photographs or other evidence to show us these supposed UFO marks on the road. One wonders why? The Meyer report documenting that Schuessler and the witnesses not knowing the precise sighting location does answer some troubling questions. Now we can understand why there are no photographs of a scorched road or trees, and why soil/pavement samples were never presented as evidence. The claim that the sighting location was found and investigated was the foundation of his case. If this claim was false or inaccurate, the entire case is tainted. It raises other questions about how evidence was presented and just how much of it can be verified. In other words, it appears that Schuessler simply made up the claim to have identified, and investigated, the sighting location, and found evidence there. There is also the puzzling question of why the proponents of this case remain so utterly opposed to releasing any of Betty's medical records, even after her death, and especially after so much anecdotal data about her alleged medical conditions has already been discussed publicly. "Schuessler refused or ignored the State’s offer to [medically] help the witnesses." Why? "I recall a photo being shown [on the April 1, 1982, edition of ABC-TV's That's Incredible] of Betty's arms, with discrete, round, sunburn-type rashes that immediately caused me to suspect that she had created them by covering her arms with a garment containing circular cutouts and then exposing herself to sunlight (or a sunlamp)." There is no way that such discrete, round patterns could be produced by radiation from a distant object. What Dr. Posner is suggesting is that, like religious zealots of yore who fabricated their own symptoms of "stigmata," Betty Cash created the discrete, round "radiation burn" patterns on her arms to be able to display impressive symptoms to her doctors. Medical science has a term for this kind of behavior: "Münchausen syndrome is a psychiatric factitious disorder wherein those affected feign disease, illness, or psychological trauma to draw attention, sympathy, or reassurance to themselves." While not terribly common, it is far from rare. And assuming that Betty Cash's medical records contain the words "Münchausen syndrome" or words to that effect, which seems quite likely, we now understand why the promoters of the Cash-Landrum case adamantly refuse to let anyone see her medical records. It would destroy all vestiges of credibility that this case ever had. Thank you Robert, but please slow down. This document can only prove that the investigator was unreliable. The credibility of the witnesses is a separate issue. Betty Cash: Yes, they sure did. In fact, ah... they drifted more to the wes..., east, west, or west... over toward Crosby and Intercontinental Airport was the way they were... it was headed and the helicopters were on both sides of it and looked like they were trying their best to get around the top of it. It was unreal. In fact, even driving down 1960, when we stopped at the stop sign to turn onto 1960... we drove to the First National Bank in Dayton which, at the time, was under construction, and we could still see helicopters coming. Now whether they were going to help the other crews or what, I didn't take time to find out." Cash-Landrum was a crude hoax, period. Betty Cash and Vickie Landrum told a wildly impossible story of 23 Chinooks wrangling a flame-sputtering mechanical something (not even a "UFO" since they claimed the US government was responsible) with cables on a rural road in the Piney Woods area near the eastern shore of Lake Houston opposite the city of Kingwood before flying west across Houston in the direction of Houston Airport! As with all "UFO" hoaxes, the stupid hoaxsters never consider the very obvious facts that destroy their stories and credibility. In this case, if Betty and Vickie's story were true, then tens of thousands of people, if not all of Houston, would have seen it! A real event of the magnitude claimed would also have had media coverage and real-world consequences. It wouldn't be a fantastic, truly unbelievable story told by two women and a boy without any credible witnesses. There's is simply no way it could have happened as they claimed. A glowing, flame-sputtering "spacecraft" and two dozen extremely loud and brightly lighted Chinooks cannot fly across northern Houston without being seen by thousands of people. That laughable detail about the heat being so intense that Vickie's hand left an imprint in the plastic dash when bracing herself on Betty's sudden stop--but then they all got out of the car and looked at it--is eye-rolling stupidity. As if "Hey, Vickie, there's a radioactive flame-sputtering out-of control spaceship or something blocking the road. And 23 big twin-rotor troop-carrying type helicoptors are involved in an operation to get the glowing radioactive-sputtering whatever-it-is under control. Let's get out of the car for a closer look!" Yeah, that's a real likely scenario, NOT! And amazingly similar to Maury Island. The PSH skeptic is amused by Betty and Vicki's homespun mashup of black aerospace, government conspiracy, nuclear radiation, an all but forgotten Ray Palmer hoax of 1947 and Vickie's calming Colby with the promise of Jesus/Klaatu emerging from the "UFO." The car was never produced, and neither were the hoaxsters' medical records. Their self-inflicted injuries amounted to no more than what could be produced by over-exposure to a heat lamp, or the application of a mild acid solution. The other symptons they exhibited were NOT consistent with radiation sickness but with chemical poisoning, most probably a household cleaner. They applied it to their forearms, scalps and faces, and drank it as well. Betty, the enthusiastic lead hoaxster, apparently overdosed on the chemical cocktail, while follower Vickie suffered significantly less. Betty and Vickie lived relatively normal lifetimes of 71 and 83 years. Colby, now 40, appeared healthy in a recent TV program. You obviously need to educate yourself. The medical records were released. Read Schuessler's book. Yes, in this case, the witnesses simply are not credible; the Remblesham case is the only case I'm aware of with numerous (probably credible or at least semi-credible) witnesses. Talk about slander , smear & character assassination! Women do NOT deliberately pull clumps of their hair out. Betty Cash 's experience left her affected both physically & financially, losing many hrs of her business & medical costs. Deliberate sunburns? Who knows what effects a flame spewing "UFO/Mil air platform) might have. Solariums are only just being banned now. Has the US govt ever compensated cattle owners & soldier guinea pigs in atomic fallout areas? The "Area 51" Book, recently published goes into great lengths about all of the atomic tests, including Underground tests & RESEARCH into NUCLEAR PROPULSION ENGINES as rocket/space type system. Its fact they use them in Navy ships, Submarines & even underground tunnel BORERS!!! Could this have been a test-flight gone wrong? As for not having 23 chinooks-> Seriously??? The interviews & programs I have seen stated something you have failed to mention. A local resident did see & hear helicopters , but STRANGELY, that section of road was dug up & resurfaced very soon aftrewards by a group of unmarked roadworks trucks > you can see the edge of where old & new begin! And, by looking at the trees near the verge over the apparent section, they were small & young , as the burnt trees were all removed at the same time by the mysterious road-crew! Munchausen or Munchakin skeptic doctors? A woman with her own business deliberately pulling out clumps of her hair , drinking poison, & sunburning herself & then being held in a hospital for 12 & then 15 days? More like Agent Orange,Depleted Uranium, radiated New Mexico cattle,secret test flights. We all know they arent denied!! Deano, you mention Betty's allegedly drastic medical symptoms. But since we can't see the medical records, how do we know if they're real? Schuessler misled us about the alleged evidence at the site. Maybe he's misleading us about this, too? are usually poor listeners and also they constantly leave the toilet seat up. And I might "wish" that gullible people who fall for such an obvious hoax could produce evidence that even one bit of Betty and Vickie's impossible story was true, but I don't. Their self-inflicted injuries were superficial, Vickie's were entirely external, Colby purportedly had swollen eyes at most, and both women lived normal lifetimes. Without real-world corroborating evidence of any kind, their injuries are evidence of only one thing: Hoax for attention and with the hope of monetary gain--always the main motivators for "UFO" hoaxes, with or without injury. So it's your credulous assumption that their lies are true and your hyperbolic misrepresentation of their injuries that are ridiculous. Their story was tabloid trash in 1981, and in over thirty years not one bit of veracious evidence has been produced to move this fairy tale off of the Null hypothesis, it's still tabloid trash in 2013. A mind is like a parachute, it does not work if it's not open. A mind is like a parachute -- it works best on scientific principles. I worked with Schuessler in a NASA contractor in Houston during this period, and in hall conversations he described features that he was discovering during that period. One involved the series of dead ends in trying to locate any military unit that had enough flight crews on duty over New Year's Eve weekend, when most military officers take extended leave. It really baffled him. I don't think he ever located any unit that had enough crews available. Jim, John Alexander says that he was consulted by the legal team defending the C/L suit for the Pentagon. He, too, tried to locate this supposed helicopter squadron - from inside the military, where they would have to answer him truthfully - and also drew a blank. This supposed helicopter squadron simply does not exist. Therefore, the witnesses made it up. Over on the ATS thread about Collins' article, CardDown said, "Phil Klass' files on the Cash-Landrum case can be obtained from the American Philosophical Society library. I've got a set and it shows a lot of backstage drama. Klass was asking valid questions about the case, but the correspondence shows that Schuessler was evasive and unwilling to share the medical information with anyone outside his circle. It wasn't just skeptics that were denied. He also shut out fellow UFO researchers such as his former colleague Dr. Niemtzow, and Jim and Coral Lorenzen of APRO, who had turned the case over to him." Here's what I think happened: it's Gulf Breeze and Walt Andrus all over again. Schuessler and possibly a few other MUFONites knows about serious problems with the case. But they feel they need the case, and can't let it go - that risks riling the membership & losing subscribers. So they continue to promote a case that they realize is seriously flawed, but don't care. That's why Schuessler was keeping secrets from APRO - they would have revealed the flaws, to spite MUFON. The sighting location was identified by witnesses. The damaged road was photographed by Schuessler. The scene was checked for radioactivity by Schuessler and Holt. Measurements were taken from the where the car stopped to where the UFO was, allowing estimates to be made of the size of the object. The road and trees were scorched by the UFO. The damaged section of the road was removed and repaved. " "I do remember the meeting with George that included MDs Niemtzow and Tyler. I know there were only four of us including George and I don't recall Rank at all. I would categorize the meeting as informal and part of Sarran's efforts to try and come to grips with a situation that did not make sense.."
This was prior to the filing of the legal case by several months. As far as I know, he was not part of that later effort. You mention posts on ATS by carddown. That name and sentry / sentry579 are my former internet aliases. also, that many military involved? I wish I could say our military would keep their mouths shut about this for so long, but someone would talk. It's too many people, and too odd a story. I think, with investigation, there has to be a level of credibility of investigators get discouraged. Investigators should allow themselves to say "This is not making sense, we've looked and find no need to go further, next case please." sadly there are many other medical problems that these women could have been exposed to, certainly thinking everything from well contamination to a shared illness....why jump to mystery UFO radiation that doesn't quite kill you? Also, "they had no reason to lie", well people do. It's sad, but many people do for attention or perhaps in this case a law suit. If this is a "best case", either a whole lot more or a whole lot less investigation needs to be done into UFO reports. I agree with Kitty on this. One thing that is mentioned in Hendry's investigation is that all the military bases noted what every military member knows. Unless there is an emergency or war going on, most military bases go into a stand down period between Christmas and New Years. All that is present is a skeleton crew on base. Everybody else is on leave or have minimal work hours so they can spend time with their families. To expect dozens of helicopters to go airborne would not only require the pilots and airmen to be on board but also require dozens of ground crewmen to come in to support the operation (fueling/maintenance/air traffic control/etc). We are probably talking well over a hundred individuals for the number of helicopters described. One also wonders why the aircrews did not suffer ill effects if Cash/Landrum had been exposed only a few minutes at a distance. It all makes no sense, which is why I questioned the story. If the helicopter part of this is incorrect, the rest of the story becomes suspect. Now, thanks to Curt, there are reasons to question "the rest of the story". To Robert, My comments were taken from my own recollctions, so I have since done a bit more digging. Admitably its "Above Top Secret" site, but the researcher has done his home-work on this one. You can find there photos of *Vicki's forearm, Betty's hair-loss, & the scorch mark left on the road. A police officer witnessed the Chinooks, another the diamond shaped craft, & two young men saw the mysterious road crew working with out reflective clothing, unmarked trucks, & remembered it being strange because the whole road was blocked & they had to turn around & WHY at night. As you know I believe in ufo's(scoop mark to prove), I feel that this was definately a man-made craft, be it nuclear/secret fuel propulsion system, maybe a meltdown/fuel tank leak/uv or microwave burst................? You may be correct about Schuessler. The witnesses described a silver/grey diamond shape with no lights, just flames at bottom, outlining above craft. In Schuessler's account, it had been changed to blue lights revovling, thus infering a UFO. Change of focus from military connection? Even Stanton F admits US was working on atomic engines for aero/space uses. Perhaps this was Schuesslers pet project & he was sent as a disinfo to muddy the waters, especially with a 20mil $ court claim involved. Maybe Jim O could enlighten us since he knew the man. The Chinooks have been suggested as 160 sp op branch with a sword-wielding Pegasus patch! THERE are those psyop patches again-.What gives Jim O ??????? But the road cover-up does it for me . Within 2 wks, a mysterious , unmarked, plain clothed , roadcrew dig up & reseal the road in the dark.Most roadwork unless very busy or a bridge etc, only block one way at a time, not the whole road. And why just a 100m section? And the verge trees? I am sorry Kitty, but I am sick & tired of the cant keep a secret concept! Especially in the military , where they SWEAR an OATH to do so!!! There are a number of problems with the mythology of the road cover-up. Which I hope to fully cover later. Short version- road was still intact when "That's Incredible" filmed in July 1981. When the beat up road was partially repave in 1982, rumors started brewing, and it was after the legends of a disappeared UFO scorch mark surfaced. Trouble with this case, everything we know about this case was packaged by John Schuessler. If it helped the narrative, its in. Otherwise, no. I don't doubt there was a real event behind this case. However, once lawyers and, worse yet, Ufologists became involved any hope of identifying what this unfortunate trio really encountered that day was lost forever. My strong feeling is that some prototype was being tested, the test went badly, and the thing ended up buzzing a public highway with three innocent souls driving on it. It may have been something being developed for the military or a government agency, but I don't feel the military was directly involved in the test and very likely was unaware of it. Just because one tells a "UFO" story doesn't mean they've seen anything at all; not all "UFO" stories are misidentifications of ambiguous visual stimuli. Over the last century, hundreds of "UFO" stories tell of landings of unambiguous airships, balloons, mystery airplanes, flying saucers, other imaginary spacecraft, and of their human-like or otherworldly pilots and crews interacting with human beings. The details of these stories are variously so bizarre and having known fictional antecedents, mundane and of purely human concerns, or some combination of elements and situations that reveal them to be wholly implausible and complete fantasies, utterly inconsequential fabrications for which there is most often not one bit of evidence. The motives for concocting these stories is another topic, but the fact is that people do tell "UFO" stories when no real event has occurred. And when they manufacture "evidence" to support their story it's called a hoax. Like some phony flying-saucer photo, Betty and Vickie's stupid self-inflicted injuries were merely evidence that the event of their otherwise evidenceless and laughably impossible story never occurred. Tests of dangerous flying things are not carried out where there is a chance they could 'buzz' a public highway. Doubly so if the dangerous thing is also a secret. In any event it couldn't have gone that badly as none of the three suffered any serious long-term health effects or shortened lifespan. How do I put this? While a degree of skeptisism in this rather unusual relm, UFO's, is required, one should always accept that there may be incidents and situations that are reported by perfectly reliable witnesses who are neither lying nor delusional. And, while there is an excessive amount of hoaxing and mistaken identifications in photos and home videos, there are those rare incidents that seem to defy any normal explaintions. I personally find it very unlikely that any sort of alien sapience would be interested in our world, other than from a purely anthrpological point of view. However, I do try to keep an open mind about such things because as the Bard once said, "There are far stanger things in Heaven and Earth, than are deamt of in your philosophies." How would anyone "know" what an alien sapience would be interested in? Are we that advanced? We can't even find a cure for the common cold!. There are 100 million billion galaxies, give or take a few mill. We have no way of knowing why or what or how long or if anything besides us are residing/working with high ranking officials.We won't be told anything any Gov doesn't want us to know. I am curious though about on thing. The radio broadcast of the war of the worlds,,was that a test to see how humans would react? If so, it makes perfect sense to keep us in the dark. However, I believe 2014 is going to open a lot of eyes to the reality rather than possibility of "we are not alone". > I believe 2014 is going to open a lot of eyes to the reality rather than possibility of "we are not alone". Read this very, very long three-part list of failed UFO predictions then get back to us. > The radio broadcast of the war of the worlds, was that a test to see how humans would react? If the witnesses genuinely thought they had seen and were radiated by a UFO, why were they claiming this huge compensation from the US military? Are the armed forces (of any country) supposed to be responsible for what the UFOs do to the general public? If they genuinely thought the military were responsible for their radiation burns, etc, why did they report the incident as due to a UFO in the first place? Were the two women trying to have their cake and eat it? Or is it all the fault of MUFON? Whilst on the subject of radiation burns, there are two other similar, much earlier, cases: the James Stokes case and the Fort Itaipu affair (both early November 1957). The former was dismissed as a hoax by the USAF soon afterwards, in the second the two witnesses (sentries at a fort in Brazil) were never traced and their names are unknown to this day. Dr Olavo Fontes gave it a lot of publicity but it smells too much like another hoax to me. Exactly, Chris; Each and every aspect of this fairy tale spells hoax. It's almost a grab bag of hackneyed "UFO" narrative tropes: a remote location at night; the "UFO" is blocking the road; it remotely kills the car ignition; it emits intense light and heat; the witness(es) suffer burns, suggested to be caused by radiation in this case; and promised by Vickie but not appearing is the benevolent Jesus—who would have communicated his scientific and humanitarian concerns much like the Pleiadians; the craft appears to be in trouble or pilot is making repairs; and (as with Maury Island Hoax) other associated aircraft are aiding the distressed. And even though Betty claimed she had no interest in "UFOs," this PSH skeptic knows that very few are immune to prevailing cultural delusions. Betty and Vickie carried all the current "UFO" myth baggage as every other American bombarded by the images and themes of nuclear radiation, aerospace and black operations, and government conspiracies—if only through cultural osmosis. No one concocts a narrative so utterly saturated with "UFO" tropes without hearing more than just a few "UFO" stories. Betty's hoax is so obvious because its plot is contrary to the way that humans actually behave and in its details—idiotic lies—that expose it. Betty was a good-ol' East Texas 50 year-old glorified night-shift waitress looking for attention and money, and stupid enough to make up a wild "UFO" story and paint herself with Clorox or pool acid and drink it as well in order to sell her hoax. Compare with Maury Island; Hill Abduction; Falcon Lake; and dozens of others. CDA, "If they genuinely thought the military were responsible for their radiation burns, etc, why did they report the incident as due to a UFO in the first place?" Not quite the way it supposedly happened, but the "real" story is just as puzzling. The story leaked from the boy, Colby to a doctor. The "object" was an unknown accompanied by copters. No claims of ET. Shortly afterwards, Vickie tells her police chief about it, two days later he finds the contact info for NUFOC and suggests she call it. There's no evidence that the witness were pushing it as a UFO story, but instead some that they were pushed towards it. Apparently, they thought from the moment they saw the copters that it was a military thing. That's the motivational mystery- Why keep the sighting secret? Their stated reason was fear of ridicule. The Cash-Landrum case is sometimes linked to the Rendlesham Forest Incident (RFI), because of the near-coincidence of dates. I have never seen any reason to link them, and see even less now I have read this (other than in the repetition of "UFO narrative tropes", as noamchomsky terms them above). Congratulations to Curt on his research and to Robert for drawing it to our attention. This case is very ,very interesting & I am about to put forward a new perspective on the whole incident. After hrs of going over the ATS comments section, one anonymous had said it was a "balloon" with toxic chemicals that was eventually dumped in the Gulf. Betty's description was a large diamond shape hovering,ascending with the rocket bursts, that eventually rose & was escorted by the Chinooks. The early days of NASA did indeed use a lot of balloons , as well as rockets that were fuelled by Hydrazine> very toxic & producing same symptoms. At this time, NASA was thinking of using balloons on other planets notably Titan, a moon of Saturn. One way of heating the balloons was to use radioisotopes in the envelope , & most satellites , including the Vikings use a RTG devise. Radioactive Thermoelectric Generators produce electricity from the breakdown of Pu 238, & heat is a by-product, the thought being this could heat the balloon. Could this have been a flight test, or malfunction of one of these balloons in the Earth's atmosphere? The Hydrazine rocket used for initial launch & height adjustments, the RTG for constant lift & supply electricity to spy cameras & instruments. The diamond shape forming a semi-rigid structure, & to baffle enemy forces by thinking it was a "UFO", or more aerodynamic form when thrusted by the rockets. This scenario fits all the queries in the case, but most of all explains Schuessler's interest having come from NASA. He would have known about the toxic chemicals & possible radiation from the balloon, so was very quick to cast doubt on the whole affair as being something the govt knew, & so the UFO story was implied & encouraged. While reading about all of this in NASA files, it even states the president has to sign if TRG technology is used. There is also long pages of contamination containment, procedures & protocol > No wonder the military denied the involvement of 2 sqdrns of Chinooks. For all we know , this might have been launched at sea from a carrier, & so they were Marine chinooks or Sea Knights, thus the plausible deniability from the Army & Air Force! To verify, we need Jim O & his NASA contacts. The fuel was definately Hydrazine, & the catalyst was irridium or some other nasty acid type stuff, & if the balloon itself was leaking, there is your low dose of Plutonium! LOOK AT: "Radioisotopes & propulsion of NASA Balloons" I was shocked!!!! Deano, do you have a specific link to a NASA document. I can't find anything named Radioisotopes & propulsion of NASA Balloons. Thanks. to nablator. Just look at RTG on wikipedia. Radioisotopes Thermoelectric Generators. They have been powering satellites, & arctic & antartic stations for years. Apollo 13 one is bottom of Pacific. The efficient ones (87yr hlf-life) are Pu238 fuelled. Early ones were Ce fuelled & Helium was a by-product>perfect for balloons. Titan Montgolfiers have all the details . Hydrazine rockets are common knowledge, but I suggested them as a flame source because their toxic effects are same as symptoms, especially if combined with Plutonium. A stratospheric balloon at night would look like a diamond, but maybe it was stealth as well so had black faceted angular sides. How many UFOs have been explained away as Balloons? When Colby finally passes away, the whole event might be de-classsified unless a whistleblower comes forward earlier. "Martin Willis of UFO Podcast just announced that he's obtained a commitment from the reclusive Colby Landrum to come on the show and discuss his experiences in the Cash-Landrum case in "the next two or three weeks". "I (Curt Collins) was supposed to be part of a show along with Chris Lambright (a secondary original investigator). Martin mentioned the chance of Colby joining us, but I thought, "yeah, right". Now it's happening! "I'm really jazzed about this and now the challenge will be to shut up and let Colby talk. This is big! "More details to follow when available!" Also, Collins has written yet another Blog entry, in which he is none too pleased at those of us (including me) who suggest that the witnesses may have made some stuff up. He is especially hard on poor old Zoam (who I think can handle such criticism!). Also, Collins found out that Schuessler was misleading us yet again when he said that the moon was out, making it easier to see the helicopters. Well, the moon didn't rise until about four hours after the incident. Question: did any of the witnesses report seeing the moon, or did Schuessler make that part up? "He is especially hard on poor old Zoam (who I think can handle such criticism!)." Pretty funny stuff! Thanks, Robert. There is no evidence a carrier was out on operations over the holiday period. Like the rest of the military, unless they are deployed, most ships are in a stand down period over the holidays. Sailors spend a lot of time away from home (I have personal experience with this) and to deploy at this time of the year would have caused quite an uproar with the families. I think Schuessler had proposed the theory that the USS New Orleans was in the area. I recall looking into this and the New Orleans was on the west coast getting ready for an overhaul. It also had completed a westpac/operations in the Indian Ocean in November 1980. It seems highly unlikely that they would leave their home port in California shortly after returning from a long cruise overseas (this act would alone would cause a riot among the navy wives) to go to the east coast, conduct this secret exercise, and then return to the west coast in time to go to Pudget Sound. Klass> " CIA was in overall charge. The Navy supplied the balloons, USAF the cameras........100 000 ft or more, they could not be shot down.....classified program......CIAs interest in flying saucers.....they were Russian Spy balloons similar to ours......developed leaks or came down for various reasons..."
Yes, this is King Klass himself in an interview, talking about Skyhook & Cosmic Ray balloons > FACT. This started in the 50s so by the 80s, we can all be sure they had Nuclear powered balloons with Rocket Thrusters capable of unlimited air time & stealth. With so much interest in the effects of Cosmic Rays, NASA & Schuessler would have been very interested as well. Perhaps if the carrier wasnt close Tim, would land based Navy Chinooks have control of mission if it was one of their balloons? One more thing. Just watched a DVD from the History Channel. Its called "The Unexplained #4 -From another world" . Has a very good piece on the incident.Colby is in his 30s. They even interview Maj Sarran about the helicopters which he denies. But is gobsmacked when they show him his own notes with 100 helicopters, & if this man aint lyin, who does. The reaction of Colby turns from passively listening to I WILL KILL. Its definately been edited> the initial shock & cussin, to a fiery hatred as bright as the flames that night- hope you dont run into him Zoam! Cant wait to watch it !!! "100 helicopters- Robert Grey airfield, came in, for effect"
Balloon launches are not something that can be considered easy to conduct. Like the two dozen (or so) helicopters, it requires a lot of personnel to execute such an operation. Where did they all come from and why isn't there one shred of evidence that the helicopters or this "nuclear powered"balloon actually existed/were in the sky at the time? Dear Tim. This case has broke my heart. The deeper I dig, the UGLIER it gets. Not only do satellites have RTGs, some were actually NUCLEAR propelled ROCKETS. For proof look up US/NASA Snap 10A & NERVA propulsion. Russians launched more under Kosmo programs. A lot of this space junk/debris above us right now is full of Pu, Ce & Uranium. Look up space debris, KESSLER syndrome(collisions),& current retrieval methods. The other option is Graveyard Orbits where the dying sat is blown far out into space. The trouble is, they malfunction, & start a downward descent,filling the atmosphere with Radiation. Yipeee!! In the late 70s these sats had to have their own safety system.Either blast outwards, or parachute/balloon back into orbit to burn up or land. Maybe this is the dreaded SECRET Schuessler & the Airforce were trying to hide. The choice now becomes a parachute/balloon descent with minimal firing of the "Blast away" rockets. Or the US has made some type of "Re-capture" vehicle with its own Rockets> Thunderbird style!!! Atomics in space is obviously fact> Rockets & RTG power systems. A crash over Texas would not be well recieved!! The AEC does have its own retrieval & contamination team, 24 Chinooks is only 2 sqdrns. Think of the amount of contaminated soil they would have to remove, theres the roadcrew!! Isnt it funny how the mainstream media & NASA nicely call it space - junk. Not deteriating Nuclear Weapon & Spy Satellites hurtling towards the ground to unleash Radiactive clouds & impacts on cities. Was that a Meteor over Russia earlier in the yr? I've always wondered why they spend billions on space programs, can send man to the moon, but our communications satellites keep crashing into each other causing junk. The Cold(War) reality, is they have spent TRILLIONS on hastily pushed into service Nuclear Powered Spy & Weapons platforms & through their complexity,have failed & malfunctioned from the start! No wonder UFOs move so erratic, they keep adjusting their flight plans to avoid Nerva & Kosmo Nuclear Rocket engines!! Nuclear powered satellites are no great mystery. Most satellites that require this kind of power are deep space probes. However, the good old USSR was keen to launch these into orbit. I remember one incident in the late 1970s where much fuss was made IN THE PRESS about one of the failed soviet satellites coming down and possibly contaminating populated areas. It eventually came down in a remote place in Canada. The point of the matter is that such nuclear satellites are easily identified and their orbits are known. There were no re-entries during this time period that could have produced the event or parachuted some sort of nuclear source to the ground in Texas. BTW, the idea their symptoms were caused by ionizing radiation is highly unlikely. To have the symptoms they had from a dose of ionizing radiation from a nuclear source, they would have been much sicker than they indicated. Their blood would have been seriously affected and they would have been hospitalized (possibly near death). I suggest you look up the effects of ionizing radiation before you propose that as a source. IMO, if they had been exposed to something, it was something chemical and not nuclear. Just to expand on Tim's comments, the satellite he refers to was Kosmos 954 which came down over Canada in January 1978. The Russians even told the US about it in advance. The Canadians billed the Russians for the clean-up; the Russians eventually paid half. The main reason everyone is doubting the radiation, is because skeptical & govt medicos are saying they should be dead. How many very sick cancer patients have lived after being blasted with huge "chemotherapy" ? The other way, how many people have died from complications from a common flu? I have been suggesting a chemical cause from Hydrazine with Nitric Acid oxidiser(rocket flames) & a possible small dose of Pu 238 or Ce or Uraniam if it was a downed satellite . Its fact sats use RTGs, nuclear reactors, & some have nuclear engines for space propulsion. Its fact a Russian one came down over Canada, & I am sure it was an AEC atomic energy comission clean-up crew. The US Snap 10A had a nuclear reactor on board & malfunctioned after being launched in 65. It started "shedding" from a possible collision in 1979. Being a "classified" project its secrecy meant denial. Maybe it was this, or maybe another Russian one, but there is nuclear matter in space-debris & it does come down. So it is a definate POSSIBLE source, with reason to deny. The crafts movement seems "balloon like". It had rocket flames out the bottom. It was escorted by lots of Chinooks. The case was dismissed because military denied helo involvement(lots of witnesses state otherwise) , & because there was no evidence of radiation> medical records with-held & the road was repaved before THD sampling. The effects of ionizing radiation is a proven fact. If you have evidence otherwise, I suggest you present it. The fact remains that her conditions, while having some characteristics of radiation exposure, are the effects one would expect that would have caused other symptoms, which she did not exhibit. If I recall correctly, her bloodwork was not significantly off. The blood is something that is often affected by radiation exposure. Sarran investigated the case & everyone has passed on the 100 helicopters for effect. I got hold of the UFO hunters video & slow-motioned the page of his notes regarding this. Doesnt this seem all a bit too co-incidental? Why was he in Sarrans Notes? Training astronauts surely means use of NASA facilities>Schuessler? Court cases with "NATIONAL SECURITY" stamped all over them are thrown out, or kept hidden from public. The victims radiation symptoms > rcords with-held, & doctors suggesting something else. You failed to mention Robert , that Dr Niemtzow was an Airforce doctor, & that APRO was taken over by MUFON & thus Schuessler. Posner is a skeptic, so we can ignore his garbage of "deliberate sunburns" etc. Betty's daughter clearly remembers going to the hospital, but her mother was in an isolation room in the basement, with TOXIC signage & staff in protective clothing. Stealth spy balloon, retrieval of nuclear satellite, secret test of highly classified craft, airforce flying an alien craft> who knows? Maybe some pressure on this Hamel fellow might bring some answers. Can you help Jim O ??? deano, I had previously posted about the 100 helicopters, but had not provided sufficient details, and just published a revise edition. Are we talking about the Hill case? Re the alleged radiation burns, I referred to the Fort Itaipu (near Sao Paulo) case of Nov 1957. Upon rereading it in several sources I am far from convinced that this case ever happened. 1 The two sentries who supposedly suffered from these burns have never been identified. 2 The hospital they were taken to is unnamed and the doctors who treated them are likewise unknown. 3 Nobody else at the base involved in the incident has ever been identified, even though various electrical power failures occurred, allegedly as a result of the UFO. 4 The USAF was allegedly called in by the Brazilian authorities to help with the investigation. Is this credible? Where is the USAF report? 5 A short summary of the case by the Brazilian embassy in Washington merely refers to Dr Olavo Fontes' initial report and adds nothing further. 6 Later writers merely lift text from the Fontes report. 7 Fontes told how 3 other, anonymous, officers from the fort confirmed the case for him in 1959. He then decided to publish it. 8 Everything was allegedly hushed up by the authorities. Nobody, it seems, has ever made any real progress regarding this UFO close encounter case. Everything was shrouded in secrecy and nothing new was discovered. I do wonder if the whole idea originated from reports of the Levelland sightings reaching Brazil and a massive hoax was perpetrated on Dr Fontes by someone in the Brazilian military, and that this story was merely repeated by future writers, including Keyhoe in ALIENS FROM SPACE, ever since. But I suppose it is far too late to investigate it now and it is off-topic anyway. 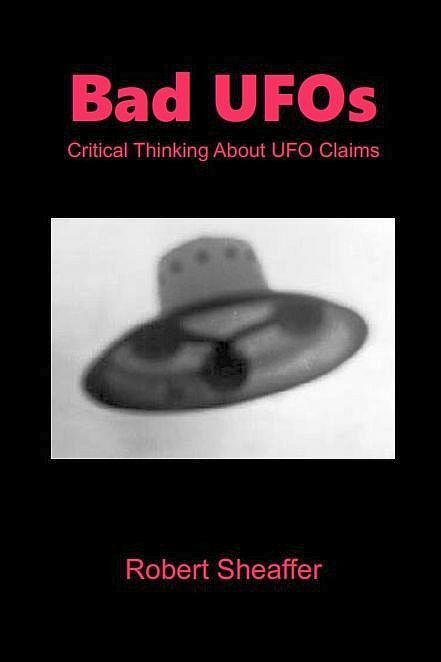 The latest entry on the Blue Blurry Lines blog deals with a report by a UFO investigator called Alan Hendry that seems to have been kept 'off the radar'. It raises some interesting questions. "Jim Oberg, a noted UFO debunker who works for NASA, originally claimed that the real explanation for the Kecksburg object is that it was part of Cosmos 96, a failed Russian Venera probe that the US Air Force Space Command reported had re-entered Earths atmosphere over Canada at 03:18 the same day. However,Nicholas L Johnson, chief scientist for orbital debris at NASA's Johnson Space Center has stated > "No part of Cosmos 96 could have landed in Pennsylvania in the local afternoon of 9 December 1965"
Who is telling the truth Jim O ?? This links NASA, USAF Space Command, retrieval of satellites or UFOs as an event that does happen, & their are protocols to deal with it. Jim Oberg cleared this up long ago. But getting back to the topic, I would like to hear Jim's opinion on recent Cash-Landrum case developments. Is Jim O still sticking by Kecksburg UFO was a Russian sat/probe? How many nuclear carrying Russian sats have fallen to Earth? & US? Are 160 Nightstalkers the tactical response team for downed objects? Why is Hamel in Sarran's notes? What were some Airforce Special Projects? What was Schuessler's expertise at NASA? Are "broken arrows" ,sats, & UFOs retrieved by USAF personnel, or by black ops CIA teams? To what extent did spy balloon technology get too? These questions, like the declassification of Area 51's U2 & A12 Oxcart(SR71 Blackbird) should by now be able to be answered. What I do know is that the CIA & NASA get to pick the very best the Airforce can offer in secret programs(black ops) & astronauts for missions. Also, the govt places agents in UFO groups, to keep tabs & squash any real evidence. Schuessler it seems, is a perfect example! The fact that the medical records were 'sealed' should tell you all you need to know about this case. When trying to prove that something or someone caused damage, the first thing you would want to enter as evidence is proof that the damages weren't there beforehand, and the last thing you'd want people to find out is that they were. If those medical records proved that Betty and Vicky (and Colby) were in perfect health prior to December 29, 1980 you can bet MUFON and others would be waving them around like mad. What? These extremely "scientific" researchers not being completely open with all the evidence? This case was an obvious coverup of an experimental microwave propulsion black op craft microwave burns just like radiation burns but leave no radioactive material anyone should be able to figure this out. Vickie initially reported "There was nothing happened to me but my eyes is burned," while photos (dates unknown but presumably later) purport to show localized spotty burns or scars from burns to the arm, hand and forehead resulting from exposure to heat radiating from the "UFO." Certainly Vickie would know and would say if she had been burned. But no, Vickie got burned later, somehow.... And relatively distant radiating sources cannot produce localized effects composed of well-defined spots. As with the rest of their phony "UFO" narrative, it's nonsense, it's simply not the way things are and work. One cannot be NOT burned after a "UFO" encounter and later exhibit burns attributed to that event and be believed by rational people. Just as one doesn't later claim that "We thought it was the end of time" but during the event, get out of her car and walk towards that frightening apocalyptic vision of intense heat and light [and physical danger] for a closer look and be taken seriously because no one, not even good ol' Betty, would do that. Each and every aspect of this fairy tale spells hoax. It's almost a grab bag of hackneyed "UFO" narrative tropes. A pack of lies from beginning to end, a crude hoax of the old-time "flying saucer conspiracy" kind for attention and money. Paul LaViolette Phd's book "Antigravity Propulsion: Tesla, UFOs and Black Aerospace Projects" indicates the craft may have been a test of early phase conjugate microwave propulsion technology. I have made mention about this many times and like most people know, no one really believes you. It has been of course a long time since this happened but my mother and I had experienced this event. The time was shortly after dusk and my step father was driving and my mother, my baby brother and I were riding in a four door Ford pick-up. My mother was in the passenger seat and I was in the back seat on the passenger side just leaning and looking out the window. We were heading north on Hwy 146 from Clear Lake to Baytown, My mother I nearly at the same time noticed oddly bright light moving quite fast, I would liken it to the speed of a shooting star but without a trail just it's own glowing light. Excitement turned to awe when it stop on a dime and hovered, then speeding off in a different direction at the same incredible rate of speed. This was taking place over Trinity bay just north east of Seabrook. We pulled over quickly and watched it for a few minutes it zigzagged back and fourth a few more times always coming to a dead stop then a roar of helicopters came out of the south east over the water and the object shot north towards Beach City and Mont Belview and out of site. There were counted 18 helicopters and they were moving fast after the object. They were Chinook and Jay-hawk types in pursuit, I would say eight Chinooks and 10 single rotor most looking like Jay-hawks. The helicopters in this case (if the sighting was real) if we use the Antonio Caravaca's ''distortion theory'' could be PART of UFO sighting, and not something separate from it.Thet's why it's impossible to find those REAL helicopters, because they where the part of phantom sighting according the distortion theory.